When you can't decide between a bottle of red or white wine, get both! 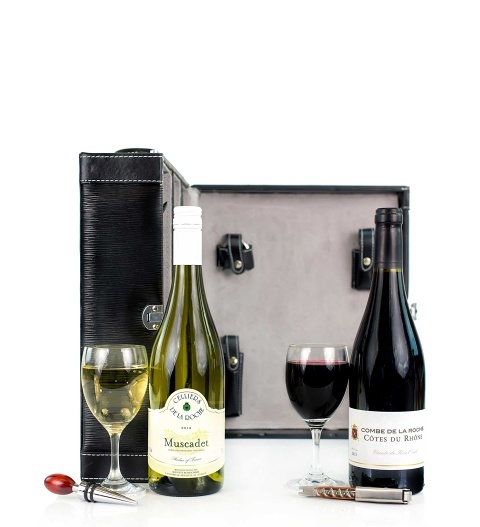 This gift hamper includes one fine bottle of each, along with wine accessories, and all enclosed in an elegant wine case. This incredible wine hamper is the ideal gift for any occasion including Father's Day, birthdays, anniversaries, and more! Available for UK next day delivery, this gift will make any lucky recipient smile!